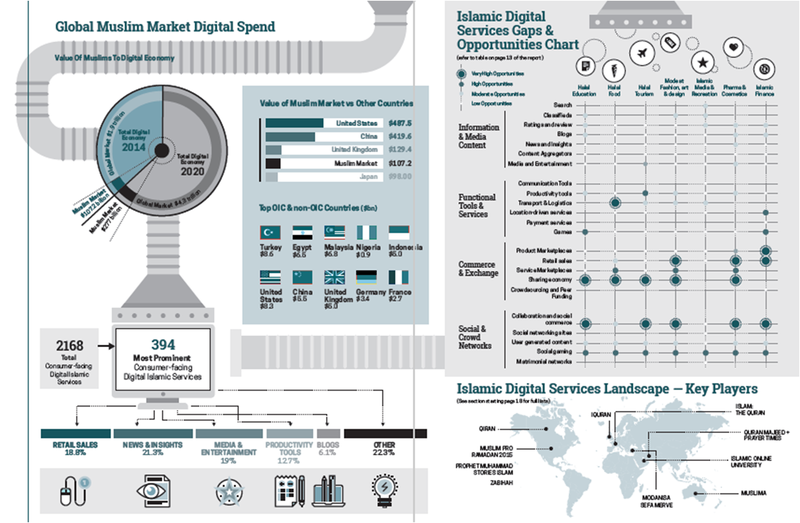 Muslim consumers worldwide contributed US$107 billion to the global digital economy of $1.9 trillion in 2014, and at a 17% CAGR their spending will grow faster than the rest of the digital economy by 2020, reaching an estimated $277 billion. Over 2,000 Islamic lifestyle services are being provided across websites and mobile platforms worldwide. The most popular categories include News and Insights (used by 21% of consumers), followed by Retail Sales (19%) and Media and Entertainment (19%), followed by Productivity Tools (13%) and Blogs (8%). 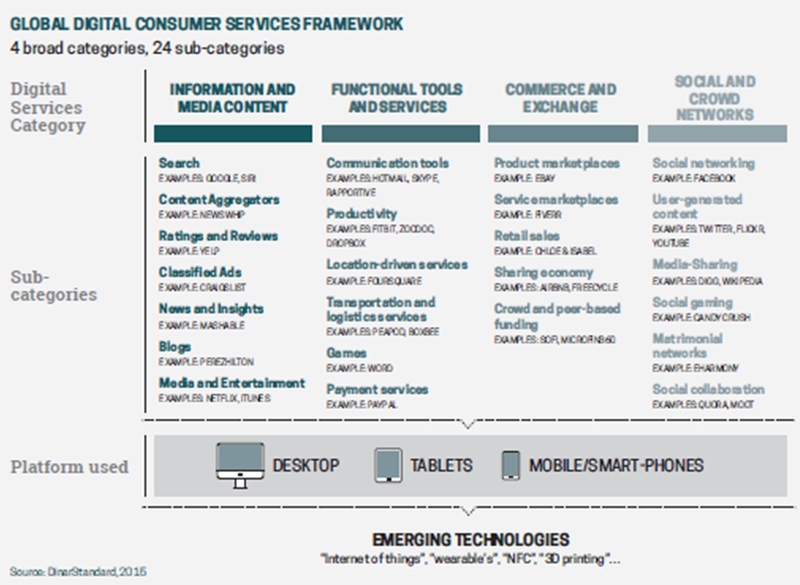 The report recognizes a substantial business opportunity in the digital Islamic economy, particularly within five segments: the Sharing Economy; Social Commerce; Retail e-Commerce; Food Transportation and Logistics, and Islamic Finance Investment Products. 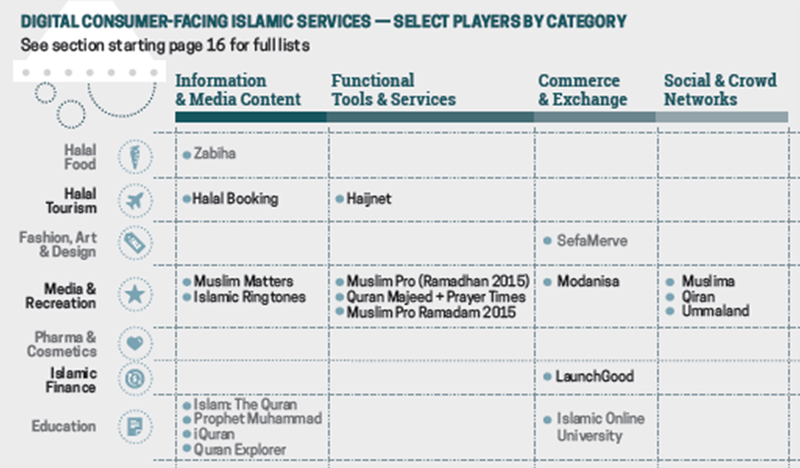 Among the least financially viable business models for Digital Islamic Consumer Services observed are Digital Islamic ‘News & Insights’ services relying on ad-supported business models. These services have been less viable financially, requiring Muslim world-wide scale which very few have achieved. Also, the Report concludes that ‘social media’ services customized for Muslims are not viable Digital Islamic services given they have had the least amount of financial success even as many have received notable investments.